January 2015 - Bernardo Cortese M.D. The most widely used Biovascular Scaffold worldwide, namely Absorb, Abbott, is a real revolution in interventional cardiology. A lot of things changed after BVS became available, however we learned that, most importantly, the approach to PCI did change as well: like for DCB-PCI, it is not just like to implant a stent here! 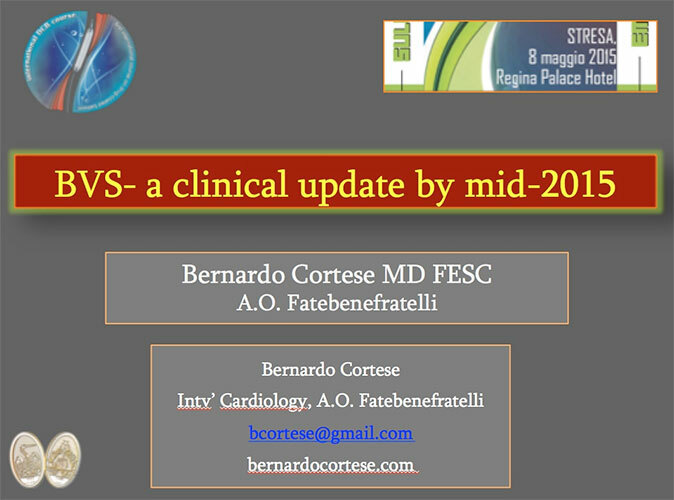 This is the presentation I made at Stresa, a national meeting organized by AS Bongo, Novara Hospital, in May 2015.